And you can see inside at what he’s done with it! 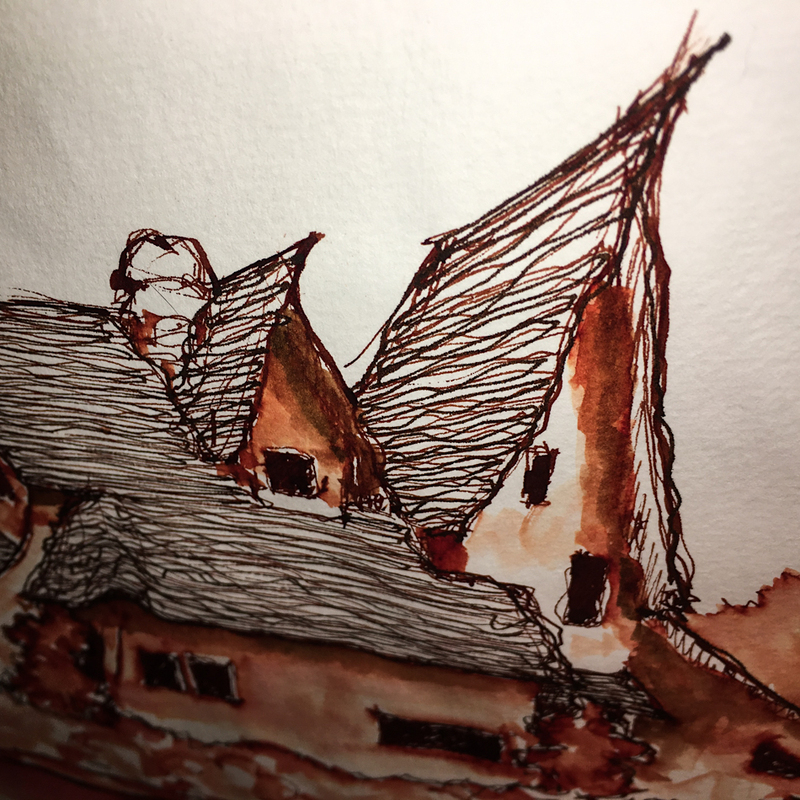 Starting with Diamine Ancient Copper, but it wasn’t good enough…. Moleskin A4 Watercolor Journal, Lamy LX pen with De Atramentis Tobacco ink, Lamy Al-Star with Diamine Ancient Copper ink, Lamy Al-Star with Robert Oster Bronze ink. 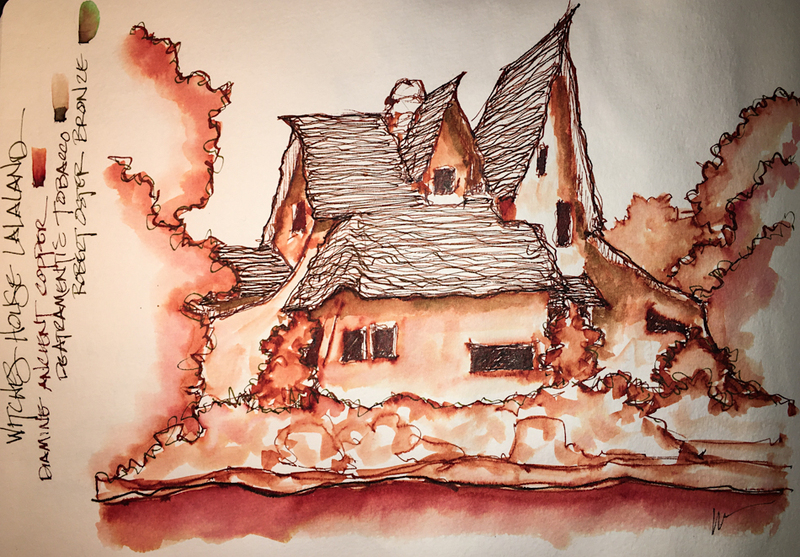 This entry was posted in architecture, art journal, challenge, ink painting, pen & ink, process, sketchbook, virtual sketching and tagged #artjournal, #deatramentisink, #diamineink, #laarchitecture, #Lamy, #penandink, #robertosterink, #spadenahouse, #witcheshouse, architecture, sketchbook, virtual sketchwalk. Bookmark the permalink. That is a unique and interesting house. Reminds me more of hobbits, though, and less of witches. 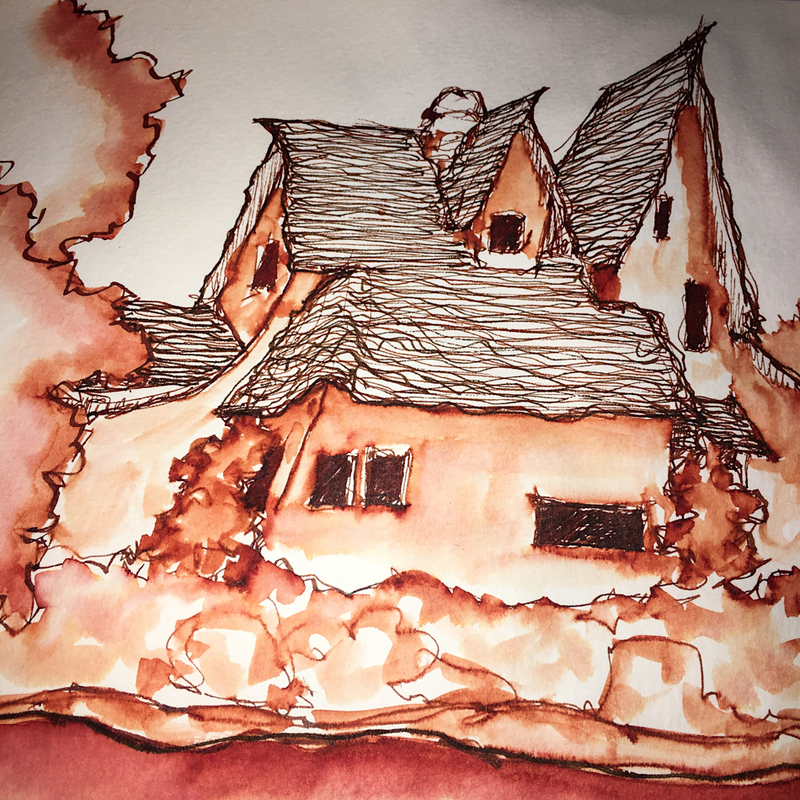 The history was it was designed to be a witches house for a set… I think!